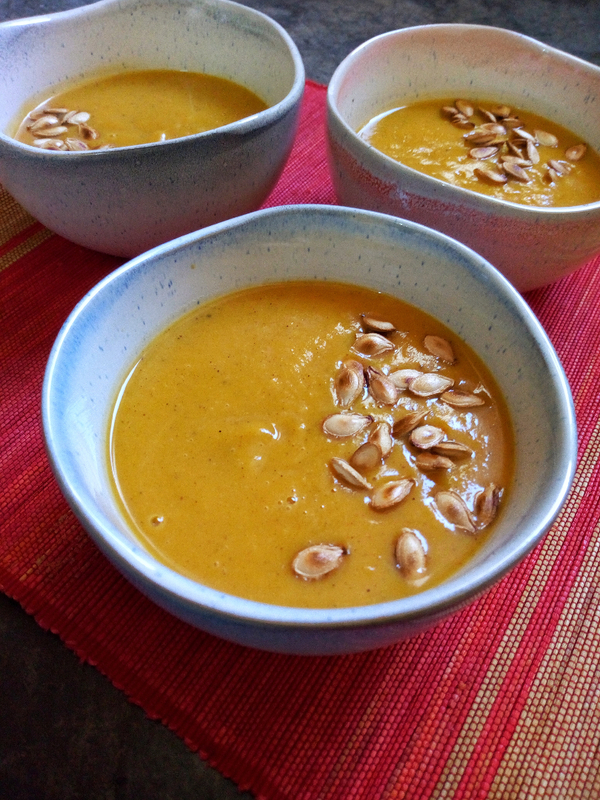 Creamy Butternut Soup - Leo Tunapika? Brrr… It’s rather nippy in Nairobi and I’m about to add socks to my nightwear. Thankfully I have a warm bowl of creamy butternut soup. I know, I know what makes this recipe different from the other two I’ve shared here before? well, one, you can never have too many soup recipes and two, this is pretty simple with very few ingredients. In this weather nothing warms you up like some soup and a warm cozy blanket. 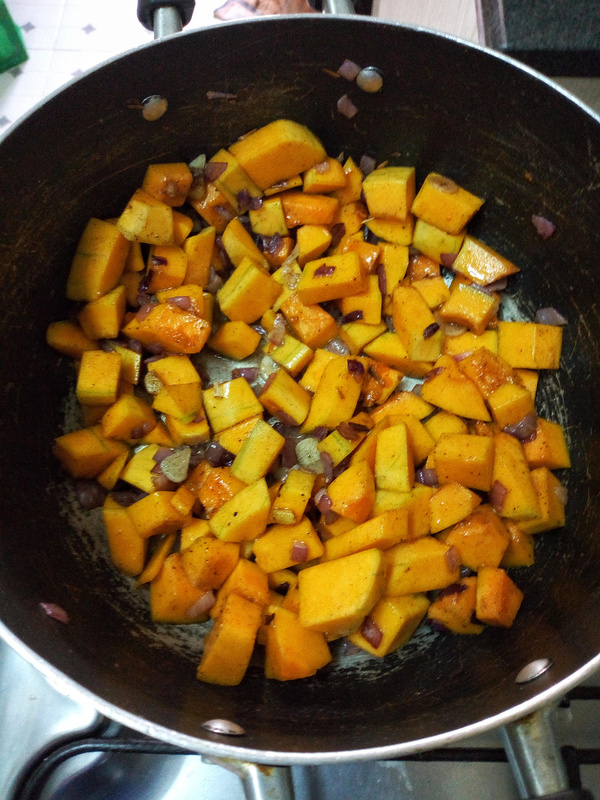 For this recipe, not much is needed, just the butternut, the aromatics (onions, garlic and ginger) and the flavourings (cinnamon, salt and black pepper). In a big sufuria, start with the onions and cook until translucent then add the garlic and ginger which you should cook for about a minute or two or until the garlic is fragrant. Then stir in the cinnamon, salt and black pepper. Since everything ends up in the blender no need to crush the ginger and garlic, a simple rough chop will suffice. When making soups, warm spices like cinnamon add such an amazing aromatic taste. Nutmeg is also a good addition to soups. 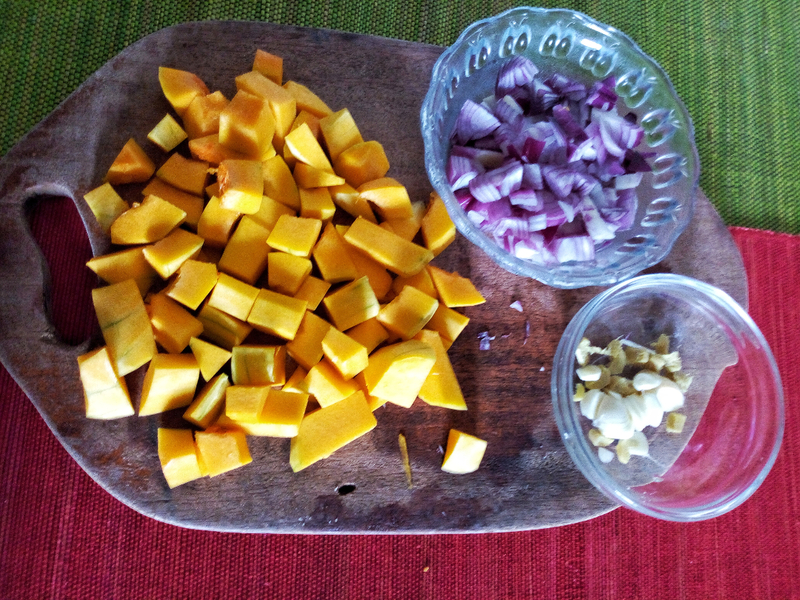 Add the butternut cubes and mix everything. Another great thing about soups is that depending on your preference and how rich you want it to be you can choose which liquid to add. From water to stock (chicken, beef or vegetable) to coconut milk, basically is depends on your taste. For this particular recipe, I used chicken stock which I achieved by adding a chicken stock cube to two cups of water. when working with stock cubes always go easy on the salt you add since the stock cubes contain sodium. 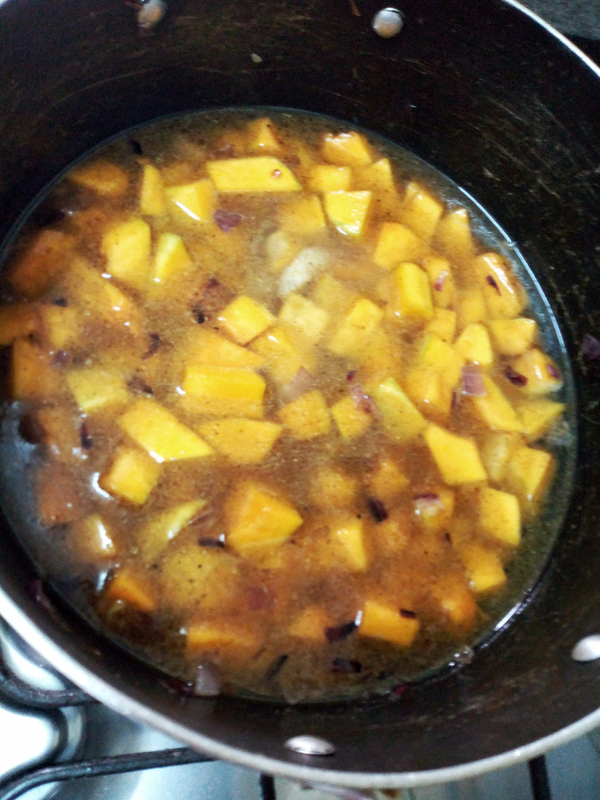 We are almost done with our soup, cover and let it simmer for 25 – 30 minutes or until the butternut is tender. Puree in a blender until smooth, taste for seasoning and adjust accordingly. I added some toasted pumpkin seeds and heart shaped croutons. Looking to chase away the biting cold? 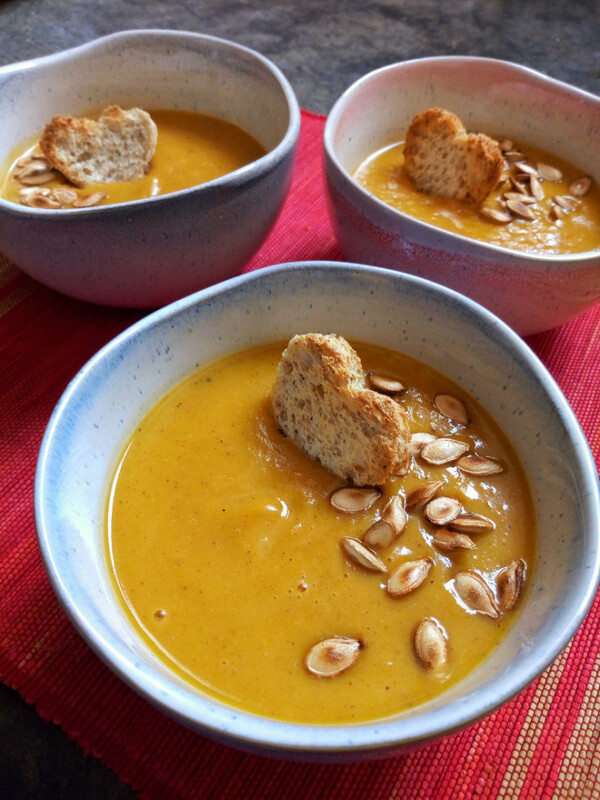 This creamy butternut soup recipe is the answer. In a sufuria, heat some oil about two tablespoons. Add cinnamon, salt and black pepper. Stir in the butternut squash cubes and stir. 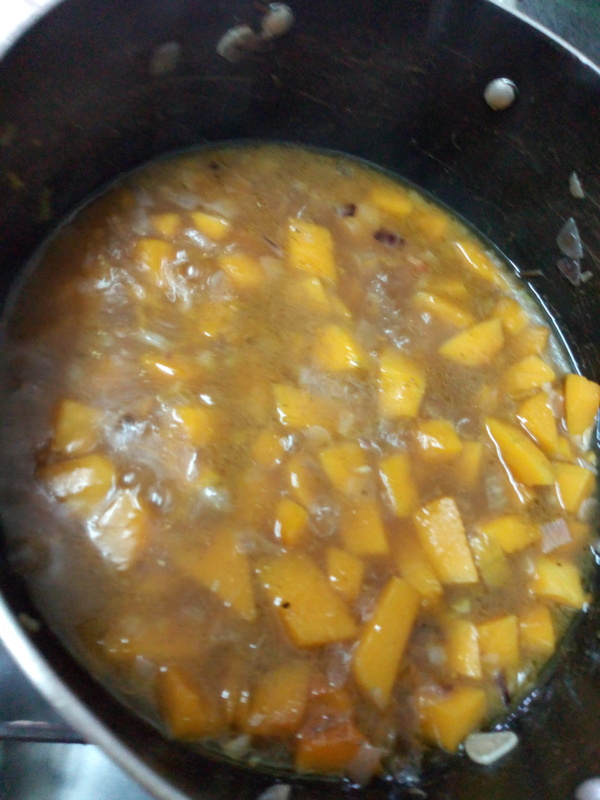 Cover and let it simmer for 25 - 30 minutes or until the butternut is tender. Once tender, add to blender and puree until smooth. Serve with some buns or croutons.